Updated at 10:38 p.m. on Friday, Feb. 16, 2018 with a statement from Bredesen's press secretary. 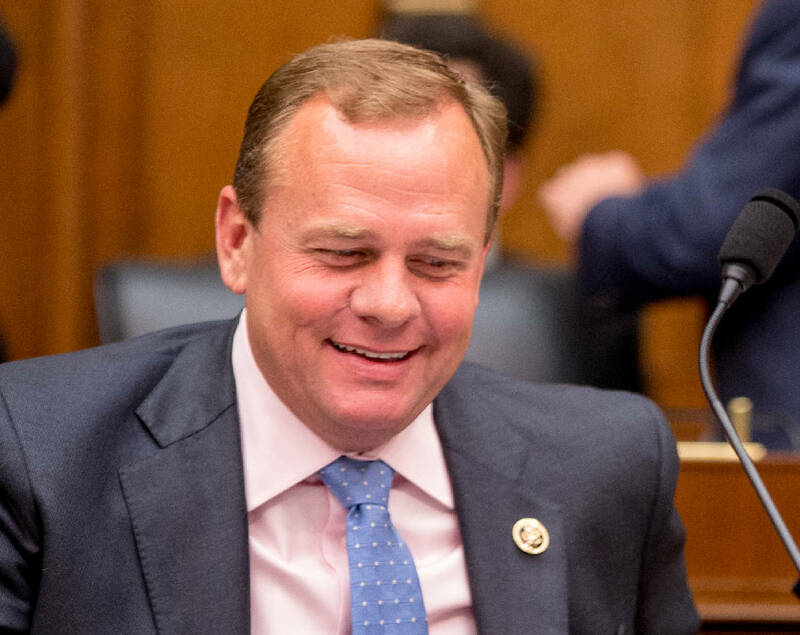 NASHVILLE — In a major development in Tennessee's U.S. Senate GOP primary, former U.S. Rep. Stephen Fincher announced Friday he's getting out of his race with U.S. Rep. Marsha Blackburn and wants incumbent U.S. Sen. Bob Corker to get in. "The party must get behind a candidate that can win in November and stop Democrat Phil Bredesen, who would be a rubber stamp for the Chuck Schumer liberal agenda," the farmer from rural West Tennessee said in a statement. "For that reason," Fincher said, "I believe Senator Bob Corker should continue to serve in the U.S. Senate, and stand with the President to fight for Tennessee families." 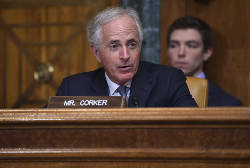 Corker, a former Chattanooga mayor, announced last fall he would not seek reelection to a third term, a move that came in the midst of an ongoing public feud with President Trump. But Corker has been saying for a few months that he and Trump are getting along fine now. In recent weeks, Corker, a former Chattanooga mayor, has been inching toward running, with a spokeswoman saying earlier this week he is listening "very carefully" to people urging him to reconsider. Following Fincher's announcement, Blackburn campaign spokeswoman Andrea Bozek said Blackburn "has always been the clear favorite of Tennessee families in both the primary and general election and now Republicans can focus all of our efforts defeating Chuck Schumer's No. 1 recruit, Phil Bredesen, in November." "Make no mistake," said a Republican close to Blackburn, "Stephen Fincher dropped out of the race because he knew he couldn't win. It's sad to see him band together with Trump opponent Bob Corker in a desperate and doomed attempt to try and stop the true Tennessee conservative who will fight for the president's agenda." In a statement sent late Friday evening, Bredesen press secretary Alyssa Hansen said her candidate will remain above the fray. "These candidates are campaigning like they govern in Washington — name-calling and dividing — which is why Governor Bredesen's track-record and get-things-done attitude is resonating with Tennesseans. Whether he is in Memphis or Mountain City, Governor Bredesen is making his case for getting Congress back to basics. He is in this race to be an advocate for the people of Tennessee in the Senate, not to run against anyone," she wrote. A spokesperson for Corker did not respond to a request for comment on Fincher's announcement. Bredesen announced his candidacy after Corker withdrew and Blackburn jumped in. The Brentwood congresswoman, a former state senator first elected to Congress in 2002, Blackburn has long been a favorite of hard-right Tennesseans. The Democratic Senate Campaign Committee, meanwhile, issued a statement saying that "across the Senate map Republicans have been plagued by recruitment failures and nasty intra-party battles – today's development in Tennessee only continues these trends. "The damage has been done to both Senator Corker and Congresswoman Blackburn as the GOP's infighting highlights the flaws in both of their candidates, voters will reject whoever they nominate next fall," the group said. Earlier, calling his decision difficult, Fincher said in a release that "my campaign has always been about what's best for Tennessee. Tennessee families need a strong conservative voice in the Senate, someone who will stand with President Trump and lead the Republican Party forward." A farmer and gospel singer, Fincher also voiced thanks for "the prayers, encouragement and financial support that we received from so many Tennesseans. I look forward to working alongside all of you in the future." A poll commissioned by a Tennessee business group with Republican ties indicated Bredesen led Blackburn by 2 percentage points. Blackburn's campaign attacked the poll earlier this week and denounced those encouraging Corker to run, with spokeswoman Bozek saying anyone who thinks Blackburn can't win Tennessee is a "plain sexist pig." Bozek said the Blackburn campaign isn't "worried about these ego-driven, tired old men in Washington. Marsha has spent her whole life fighting people who told her she wasn't good enough and she will do it again." Corker in September announced he would not seek re-election after several weeks of publicly feuding with Trump. It began last August when the senator publicly criticized Trump, telling Chattanooga Rotary Club members he didn't think the president had demonstrated the "competence" to be successful but wished he would. That came after Trump's ambivalent comments about who was at fault for starting the deadly violence that erupted in Charlottesville, Va., involving protesting white nationalists and counter protesters, which left one woman dead and others injured. An alleged white supremacist has been charged with murder following the protests over removal of statues of leading Confederate Civil War figures. Trump later tweeted that Corker "begged" him to endorse him for re-election but "I said 'No' and he dropped out out." At another point, Trump heaped insults on the senator, calling him "Liddle Bob Corker." Corker retorted with his own tweet that no one appeared to be on duty at the "adult care center" that Sunday. Corker said he and Trump have since repaired their relationship and that he speaks with the president and often with his top staff. He has sent out signals both public and private that he's considering getting into the Senate race and there were reports that U.S. Sen. Lamar Alexander, R-Tenn., and U.S. Sen. Lindsey Graham, R-S.C., had tried to intercede with Trump and U.S. Senate Majority Leader Mitch McConnell, R-Ky.
A view among Corker supporters in Tennessee is that Trump doesn't necessarily have to endorse Corker. The president simply staying out of the GOP primary would work too. Public polls show Corker's standing among Republican voters plummeted following his and the president's public bashing via Twitter. And Republicans backing Blackburn say that continues, with more recent polling indicating she has a 25-30 percentage point advantage over Corker among Republican voters. According to his Federal Election Commission disclosure, Fincher raised an estimated $1.45 million in the fourth quarter for his Senate effort, with a fundraising team headed by Kim Kaegi, a top Tennessee-based Republican fundraiser for Corker and a number of top GOP officials including Gov. Bill Haslam and U.S. Sen. Lamar Alexander. His contributions included $5,400 from James Haslam II, the father of Republican Gov. Bill Haslam. 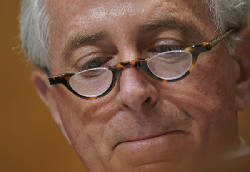 The governor, a long-time Corker ally, said he wasn't getting involved in the primary. But as an incumbent congresswoman, Blackburn raised $1.9 million, including $434,000 from political action committees, nearly four times as much as Fincher did. Blackburn reported $4.64 million in cash on hand as of Jan. 31. Contributions rolled into the Blackburn campaign from the billionaire Koch brothers' business PAC, as well as other conservative groups. The former congresswoman has been largely quiet since. Corker's latest disclosure shows he returned $1.18 million to recent contributors following his Sept. 26 announcement he would not seek a third term. But the senator reported he still has $6.24 million in cash on hand. The qualifying deadline for the August ballot is noon, April 5.